You may find it very hard to believe at the moment, but inside you is a powerful, self-confident, inner you; a you able to handle social and work situations comfortably and confidently: a you often kept locked away. This self-confidence guided visualisation uses Hypnotherapy and NLP techniques to teach you how release that powerful, confident, inner you whenever it would be helpful. 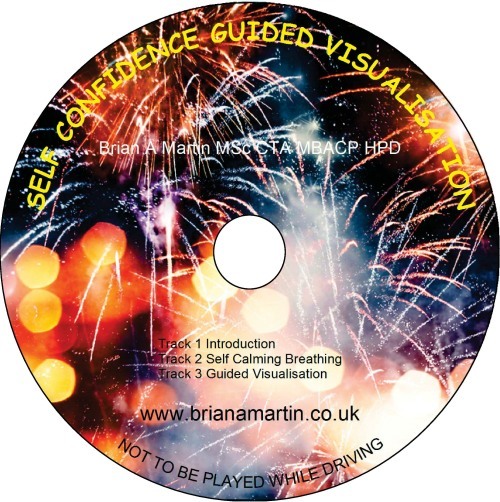 'Self Confidence', will enable you to replace the negative thoughts and images which you use to scare yourself when thinking about social and work situations; replace those negative thoughts with positive, confidence building, thoughts and images. 'Self Confidence' incorporates the amazing NLP SWISH Technique to replace the fearful anxious you with the powerful, confident you. 'Self Confidence' also installs a self -confidence 'anchor' in your subconscious, an anchor you can use to overcome social anxiety and switch on the powerful, self- confident, inner you whenever you choose.